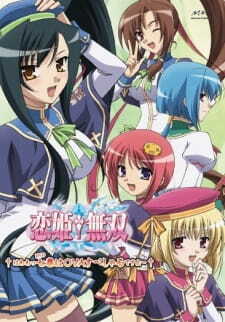 OVA of Koihime Musou in a school environment, where factions of 4 individuals fight off in school athletic events to obtain the positions of Student Council seats. Sequel: Shin Koihime†Musou: Gunyuu, Minami no Shima de Bakansu wo Suru no Koto - Ato, Porori mo Aru yo! "Yappari Sekai wa Atashi☆Legend!! (やっぱり世界はあたし☆れじぇんど!!)" by fripSide NAO project!